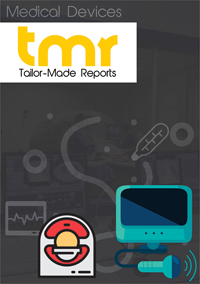 The global tinnitus market exhibited impressive growth in the recent past as the number of people suffering from tinnitus has been increasingly continuously. Tinnitus is a physical condition that occurs within an ear when there is no external noise mainly considered as a hearing perception. In most of the cases tinnitus occurs due to fluctuation in cochlea’s nerve activity as the auditory inputs are reduced. There are more than 200 disorders related to tinnitus and are considered as symptoms for tinnitus. Oxidative stress, temporomandibular joint (TMJ) disorders, multiple sclerosis, emotional stress, wax increase, traumatic brain injury, nasal allergies, ear infection, and exposure to deafening sound are the main symptoms of tinnitus. The incidence of tinnitus has increased significantly over the years. As per recent studies, North America has been witnessing an increasing incidence of this disease. Though numerous people are suffering from this, but there is no cure for this devastating condition. However, with sound therapy, medical counselling, tinnitus retraining therapy, and cognitive behavioral therapy (CBT) its severity level can be decreased. Various research and development initiatives are underway to find cure for this disease. Recently, advanced devices were introduced that can be used as a part of treatment which drive tinnitus market. Recently, at a conference held at the University of Iowa by Aurex International Corp (AIC) a subsidiary unit of ADM Tronics Unlimited, Inc. on their 26th Annual International Conference on Managemanet of the Tinnitus & Hyperacusis Patient, developments done on the Aurex-3 were explained. In addition to this, the CEO of AIC also revealed a non-invasive therapy device that will control and treat tinnitus. Use of therapeutic medical technology that will help to control medical functions through smartphones is expected to improve the process of treating tinnitus. The tinnitus shield is unique in its form as it protects the ear from damaging sounds that may cause tinnitus (ringing in ears). The use of this device can be extremely beneficial for people engaged in military, police, construction workers, musicians and others working in occupation conditional on Noise Induced Hearing Loss (NIHL). Tinnitus is a physical condition characterized by a hearing perception (noise or ringing sensation) within an ear when there is no such external noise. The exact cause of tinnitus is still not known. However, in most of cases, fluctuations in cochlea’s nerve activity due to reduced auditory input causes tinnitus. Moreover, over 200 different health disorders lead to tinnitus as a symptom, including ear infections, temporomandibular joint (TMJ) disorders, multiple sclerosis, oxidative stress, emotional stress, a foreign object or earwax touching the eardrum, wax increase, nasal allergies, traumatic brain injury, and exposure to deafening sounds. Subjective tinnitus and objective tinnitus are the two major types of tinnitus. Subjective tinnitus, ear or head noises perceivable only to the patient, occurs in 99% of all tinnitus patients. Objective tinnitus, ear or head noises audible to patients as well as other people, is quite rare. Tinnitus is considered one of the serious health problems that has a negative impact on a patient’s quality of life. The burden of tinnitus is gradually increasing worldwide. According to the CDC, around 15% of the population of the U.S., or 50 million people, suffer from some form of tinnitus. Chronic tinnitus is estimated to affect around 20 million people in the country. There is no cure for this uncomfortable and debilitating condition; however, several therapies are available in the market that help to suppress tinnitus. These include medical counselling, cognitive behavioral therapy (CBT), tinnitus retraining therapy (TRT), and sound therapy. High prevalence of tinnitus and the lack of any approved treatment options drive the development of drugs to treat this condition. The tinnitus treatment market is expected to offer immense opportunity to pharmaceutical and medical device companies. Various research institutes and organizations are focusing on development of drugs to treat tinnitus and remarkable advancements in research related to this condition have been made. For example, in May 2017, Sound Pharmaceuticals was awarded US$ 1.6 Mn by the Cystic Fibrosis Foundation Therapeutics to prevent and treat tinnitus caused by antibiotics. Rising investment in the research & development of treatments for tinnitus is expected to lead to the launch of novel drugs in the near future. Several pharmaceutical companies are currently conducting clinical trials of drugs to treat tinnitus. Over 10 clinical studies on drugs for the treatment of tinnitus are currently underway. In January 2017, Auris Medical Holding AG announced resumption of enrollment for TACTT3 phase 3 trial of Keyzilen, its candidate for the treatment of acute inner ear tinnitus. Companies in the tinnitus market such as Auris Medical and Merz Pharmaceuticals GmbH have their candidate products in pipeline which are expected to be launched in the next few years. Moreover, medical device companies such as Oticon Medical are conducting clinical trials on cochlear implant products. Key players engaged in tinnitus therapeutics development are Auris Medical Holding AG, AudioCure Pharma GmbH, Knopp Biosciences LLC, Merz Pharma GmbH & Co KgaA, and Otonomy, Inc.